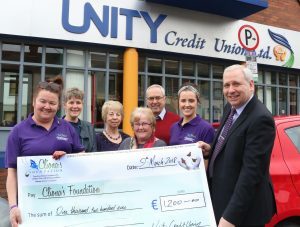 Unity Credit Union Ltd has pledged a donation of €1,200 to Cliona’s Foundation as part of it’s Charity of the Year initiative. Speaking about their Charity of the Year, Pat Owens CEO of Unity Credit Union Ltd said “It is inspirational that following the tragic loss of their daughter Cliona, the founders of Cliona’s Foundation wished to reach out and provide financial help to other families who find themselves in the heart-breaking situation of having a child with a life limiting condition. 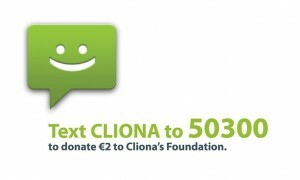 In Unity Credit Union, we are acutely aware of the financial hardship that can strike any of us at any time and we believe Cliona’s Foundation do wonderful work trying to ease the financial burden at what is a very difficult time for families. 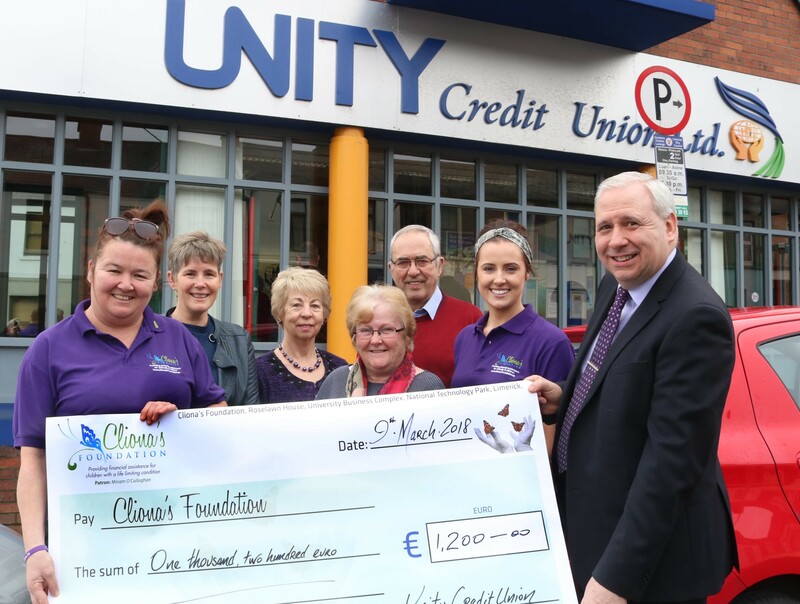 Cliona’s Foundation is an extremely worthy national charity based in Limerick which we know our members are happy to support as the Unity Credit Union Ltd Charity of the Year 2018”. “While the donation is very important to us the partnership also gives us the opportunity to increase the profile of Cliona’s Foundation to the members of the Credit Union, some of whom may need our assistance but also some members may be in a position to support us personally, through recommending us as a charity partner at their place of work, or by supporting some of the many events we are involved in throughout the year.